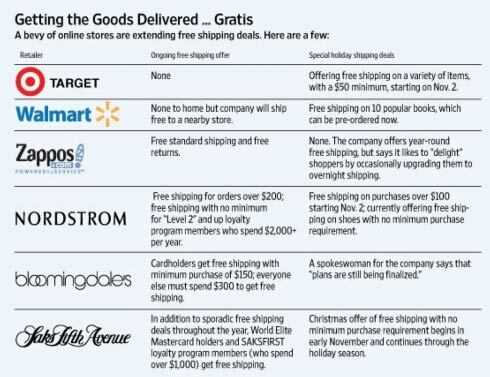 We post a good deal about Walmart and Amazon. 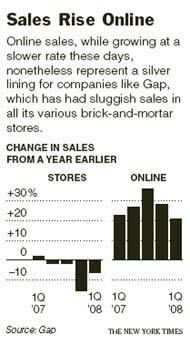 What’s to be made of retailers like Macy’s, Nordstrom, and Neiman’s? 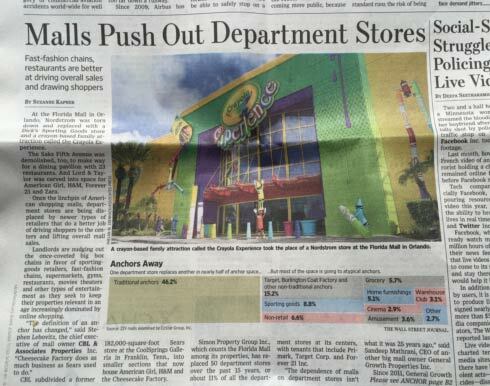 It appears they’re just struggling to stay alive, shares today’s WSJ. Macy’s net sales fell 2.5% and it’s even considering new uses for its flagship Herald Square location. 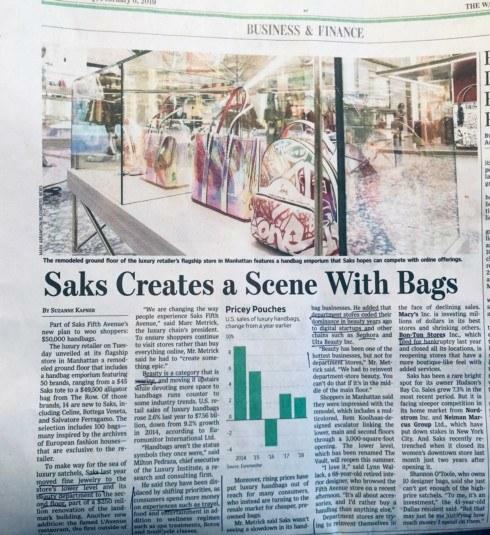 One may ask: is a sale of the flagship in the works like what Lord & Taylor did? Macy's could sell the location and lease it back. 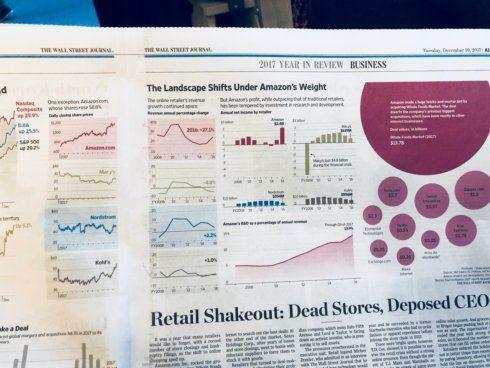 Amazon gets you to buy more iPhones, lawn mowers, power washers, and movies by: first selling you bananas. 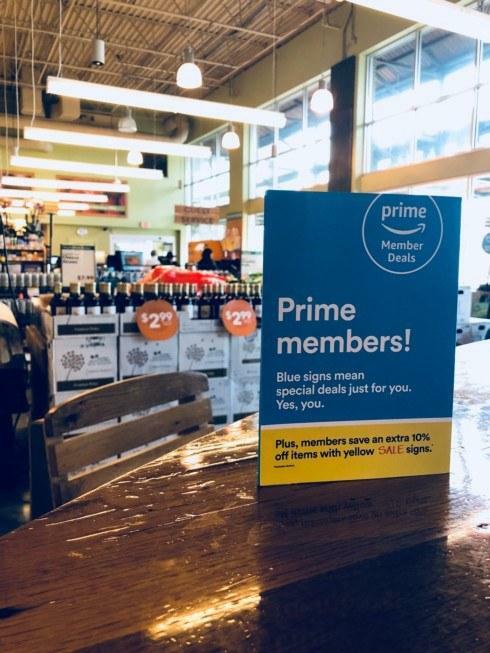 Whole Foods, owned by Amazon, ropes you in with the promise of savings. These banana sales will translate down the road to a tighter grip on all of a consumers’ purchases and result in lost sales for all or most retailers including Best Buy, Home Depot, AutoZone, Nordstrom, and more. 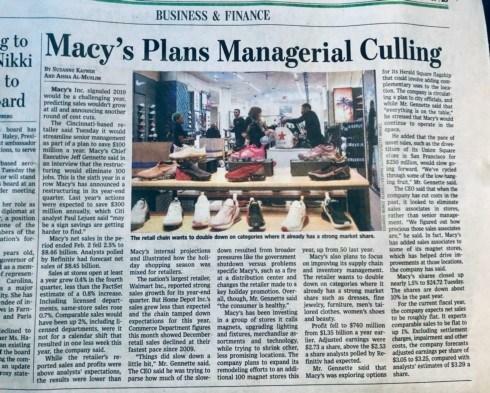 Macy’s lost $4.8b in the recent recession. How important are reviews to your business? It turns out, very important. 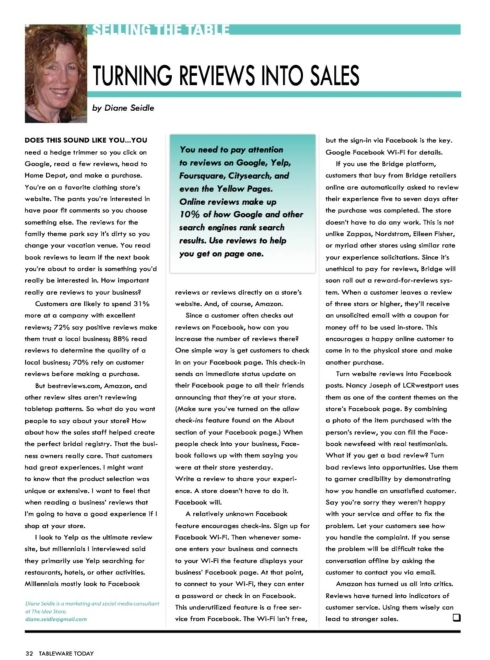 Read my latest column from Tableware Today magazine on the importance of reviews. 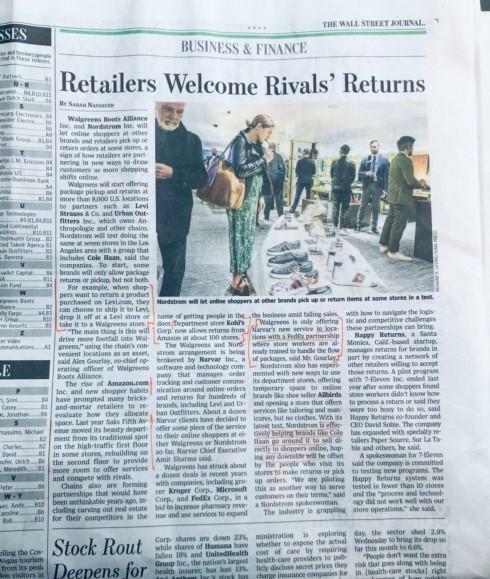 Today's WSJ shares that department stores are being replaced with restuarants and other businesses. 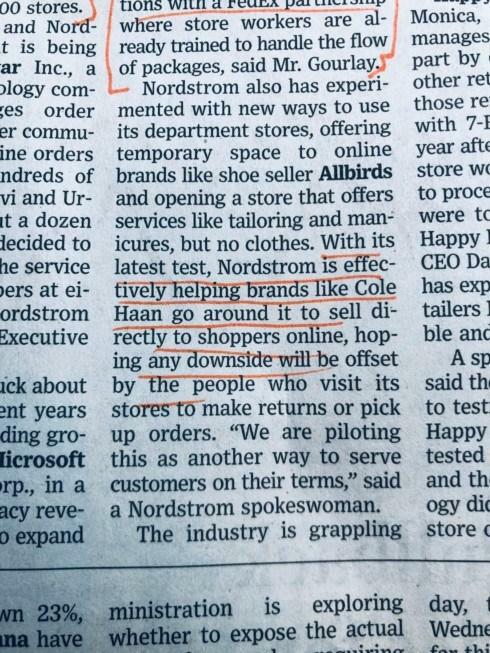 I was chatting with a sales rep whom I highly admire this week about retail and he suggested that Neimans and Nordstrom could reverse their dipping sales by hiring more people and / or providing better in-store customer service. He likened going to the store as going to a Broadway show where if you offer a good experience, people will pay more and business will thrive.